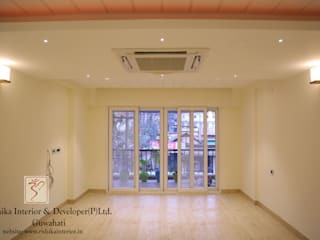 Rishika Interior and Developer Pvt. 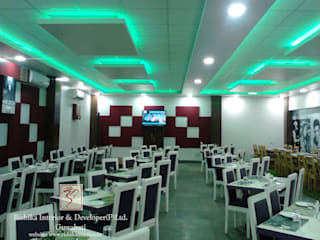 Ltd. has a dedicated team to take the burden of Interior and Exterior designing and implementing and allowing the customer to have their dream project live. 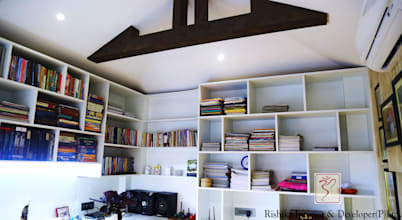 Rishika draws direction and inspiration from their clients and how they function in their environment. 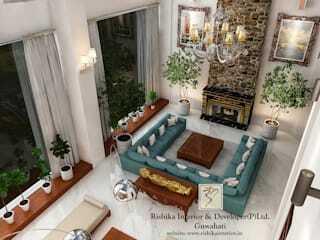 We strongly believe that the success of a design project lies in the precise detailing and execution. To maintain a healthy balance in our ecology and environment, we use high efficiency products with least adverse affects. 1. The Concept of Green Building: Green building is the practice of creating structures and using processes that are environmentally responsible and resource-efficient throughout a building's long life-cycle from sitting to design, construction, operation, maintenance, renovation and deconstruction. Increases of extreme Global Warming have led us to follow the concept of Green Building. This is an effective way to contribute to conservation of natural resources. 2. 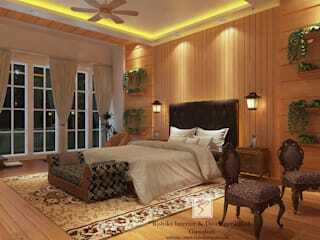 Bamboo wood: We have been using bamboo wood for flooring from a period of time. Bamboo wood flooring is becoming a popular and attractive alternative to hardwood flooring because of its cost, durability and eco-friendly properties. Bamboo is a regenerating grass so it grows much faster than hardwood trees, making it more sustainable and environmentally friendly. 3. Customize Furniture: Keeping in mind the quality, durability and longevity of the materials. 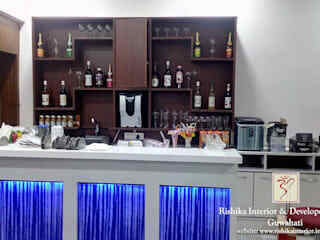 We design trendy, stylist and comfortable furniture of your choice with maximum utilization of space. 4. Kitchen: The kitchen is the most important part in your home because it is the centre of your family's day-to-day living. For daily preservation of our edibles we need proper food storage that is easily accessible. More usage of smart materials. Kitchen should be designed in such a way that it is eco- friendly and gets maximum amount of daylight. Keeping in mind the utility and functionality we install and recommend the best quality chimney, countertop, tiles, and maximum storage for your kitchen. 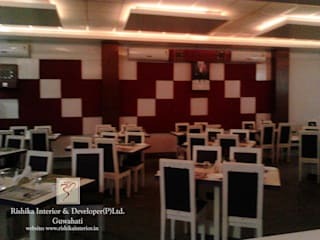 Expertise in planning layout, lighting, color selection, material selection, designing and executing customized furniture, decorations and other designs. Transforming homes into our clients’ dream vision. 5. Lighting Home Automation: Home Automation makes homes and workplaces more efficient, and sustainable for living. A home automation system is a technological solution that enables automating the bulk of electronic, electrical and technology-based tasks. It uses a combination of hardware and software technologies that enables to control and manage over appliances and devices. Home automation gives you safety, security, time saving and access to control devices wherever installed in your home from a mobile device anywhere in the world. 1. Requirement: Knowing the requirement and functionality of the entire area. 2. 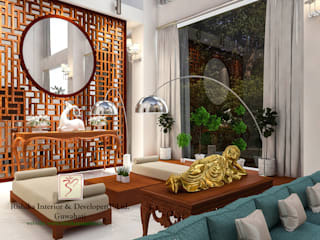 Selection of Design: Keeping in mind the preferences of the client along with the research of the designer for comfortable living and healthy ambience. 3. Approval of the Design: Presentation of the Floor layout in AutoCAD and 3D design in 3D max giving the client a perfect picture of the ideas of the design before implementation. Our Services: To provide innovative and high quality interior design, space planning and renovation consultations and services for both Residential and Commercial projects. With our experienced in- house designers, we provide consultation with affordable prices and will guide through the process of your renovation. 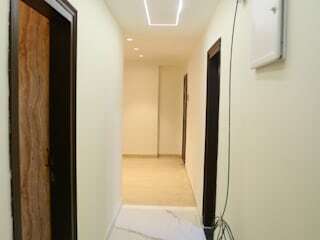 We also ensure that the after-service is provided to all of our clients. 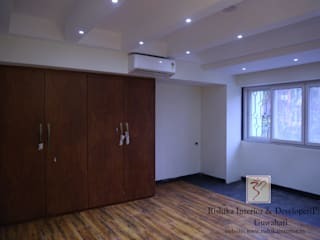 Rishika Interior and Developer (P) Ltd. is a real estate company which serves as a One-Stop solution for all interior designing needs starting from Lighting Products and Home Automation to Lingel Windows and Doors. Keeping our valuable customer’s needs in mind, we provide sustainable energy effective services like proper light management services which can reduce 60% of your energy consumption, and which will also save your money. Rishika Interior is also the channel partner of high quality; eco-friendly and maintenance free Lingel Windows & Doors which was established in 1959 at Germany. The firm is backed by a team of skilled and committed professionals that includes renowned Architect, Interior Designers, Developer and Management experts with pertinent track records highly regarded in their respective fields. Our staffs are well experienced and have sound technical knowledge which helps us to deliver the best quality services and products. We are one of the first construction companies in Northeastern India, who brought the concept of Green building. Green buildings are environmentally responsible resource structures which can be easily operated and maintained. We encourage the use of maximum natural daylight which decreases the need of artificial lighting during day making it an environment friendly building. Well covered in a Regional Business Magazine called Business North East as an emerging entrepreneur for the year 2015, & FOCUS North East a regional TV Channel has awarded as Pioneer in promoting Green Building products in the year 2014.